For some folks, finding a date on the calendar is the hardest part of throwing a holiday soirée. For others, the mere thought of putting on a Christmas party makes them hyperventilate. Depending on the year, I'm a little mix of both. 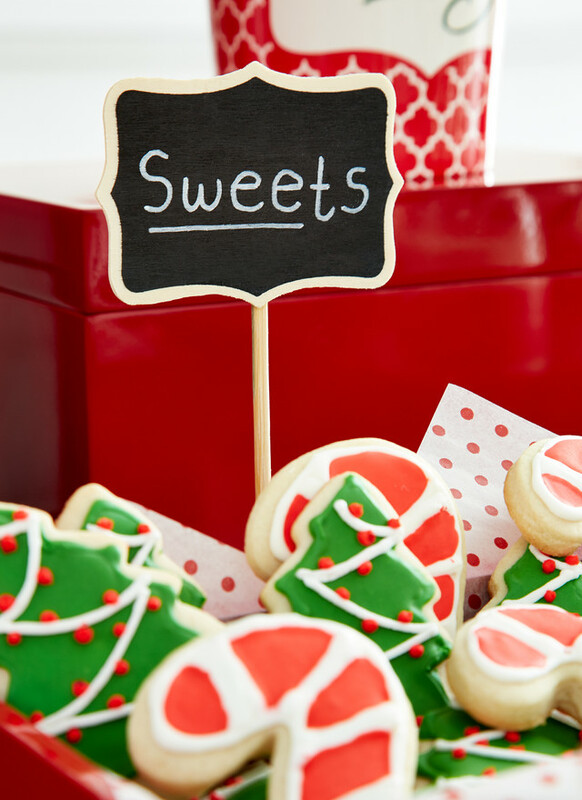 But the truth is, every time I host a festive December gathering, it's totally worth it. The friends and family, the Christmas cheer and all. Ok it's already got me humming "Sleigh Ride." 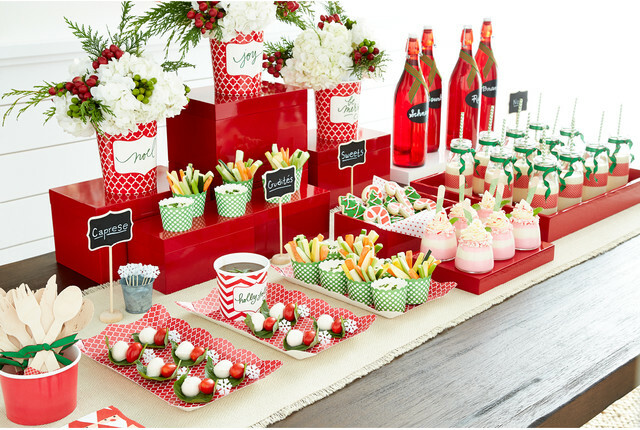 And it really can be easy to set up a joyful spread that will have your guests downright gleeful. 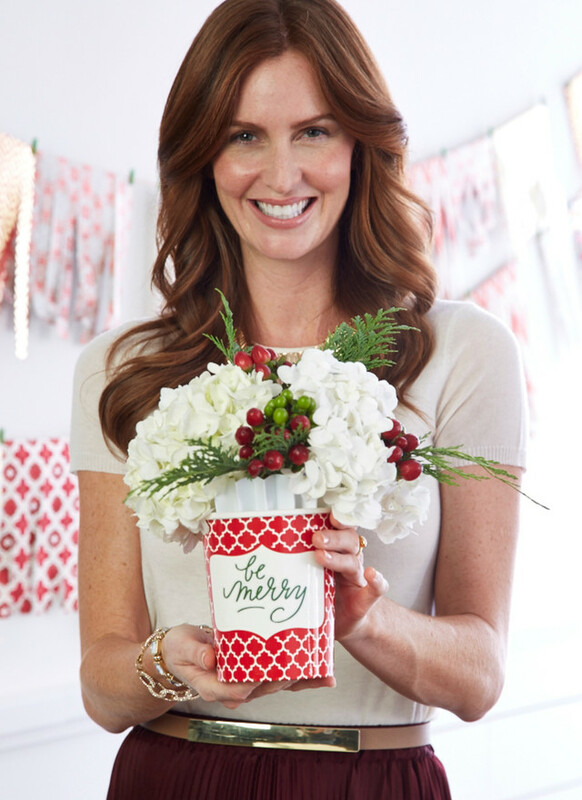 Take a look at some of our ideas straight from our Gift Wrap Wonderland catalog that we think you'll love! First we built our buffet using a variety of boxes and trays. Our lacquer boxes in different sizes are great to stack and use as risers for flowers and food. Small floral arrangements look spectacular in our Ice Cream Pints. We lined the Pints with our Zig Zag Pots and added a mix of flowers, fir leaves and berries. 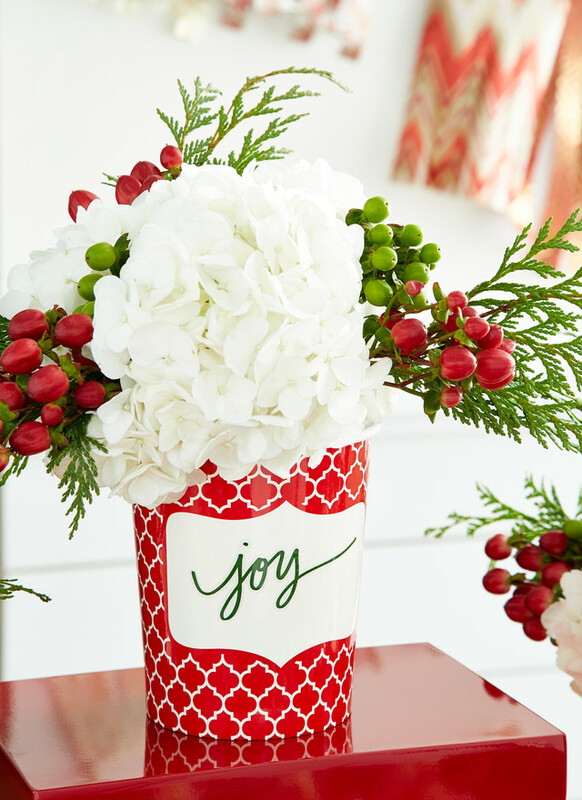 The addition of one of our playful holiday stickers gives it a fun finishing touch. 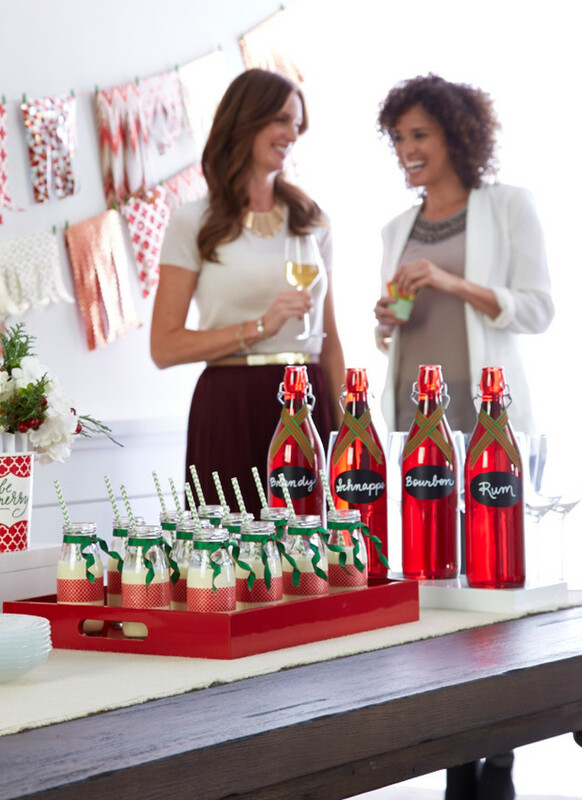 An Eggnog Station is sure to make any holiday party merry and bright. 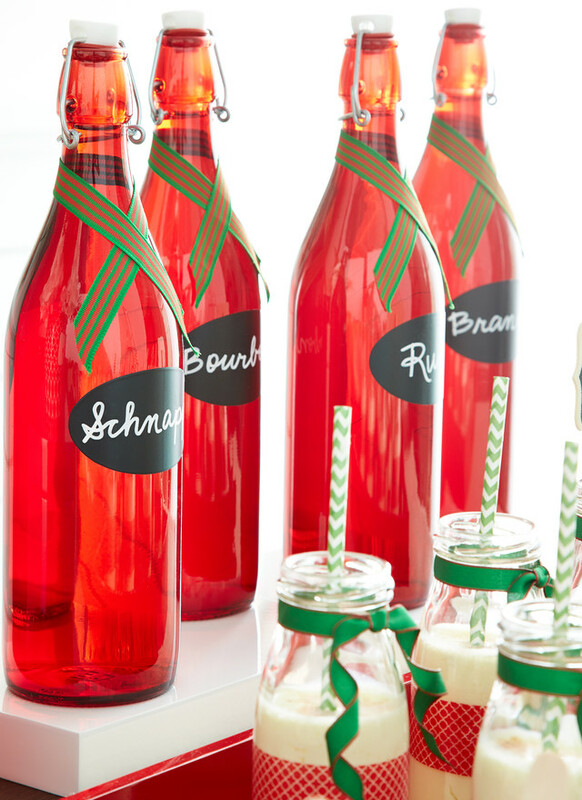 Decorate our Glass Milk Bottles with colorful Washi Tape and tie a small ribbon around the top of the bottle. 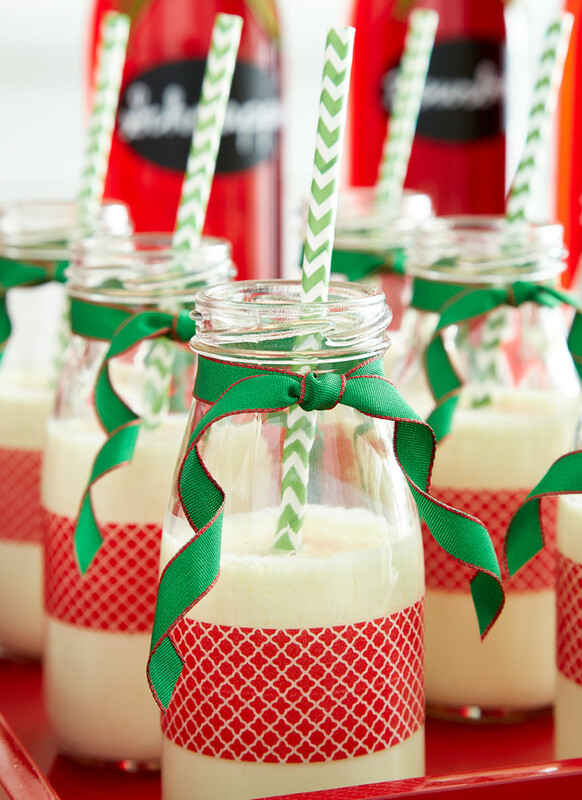 Then fill them with your favorite non-alcoholic eggnog and add Paper Straws. Giara Bottles filled with your favorite liquors and labeled with our Chalkboard Labels let your guests customize their drinks. 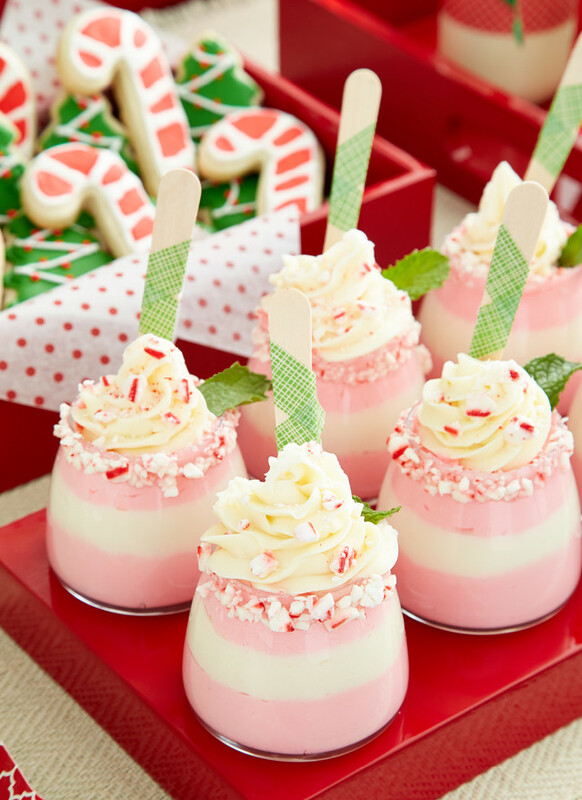 These mini mousse parfaits are precious as a sugarplum, aren't they? I love easy, personal sized desserts like this. So cute! We used our Vibe Jars as the vessel for these tiny treats. 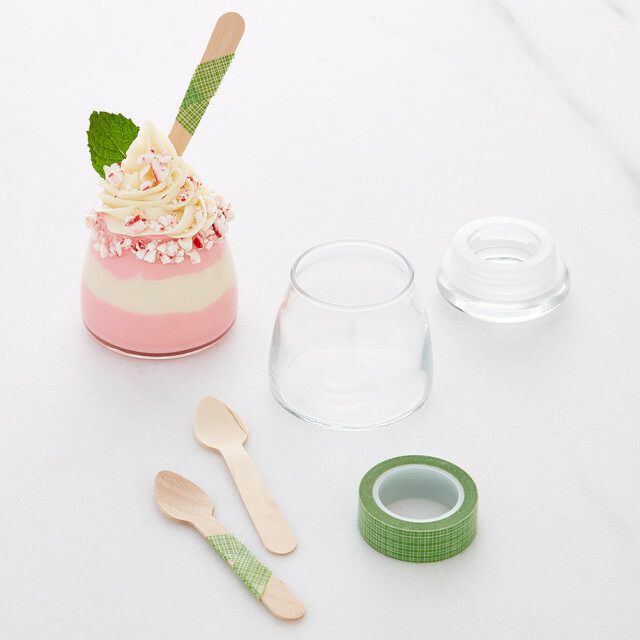 We wrapped our Wooden Dessert Spoons with Washi Tape and served up everything on one of our Lacquered Serving Trays. Place white chocolate, milk and peppermint essence in a heatproof bowl over a saucepan of boiling water, making sure the bowl does not touch the water. Heat until the chocolate is just melted, stirring regularly. Cool for 5 minutes, then beat in egg yolks one at a time until well combined. Whip cream to soft peaks in a separate bowl, and then gently fold into warm mixture until just combined. In a separate clean large mixing bowl, beat egg whites to soft peaks. Gently fold in the rest of the mixture into the egg whites until just combined. If making the pink and white layers, place half the mixture in a separate mixing bowl and fold in food colouring until just combined. Spoon alternating amounts of pink and white mousse into six 1/2-cup capacity serving glasses. Chill for 3-4 hours or overnight in the fridge. 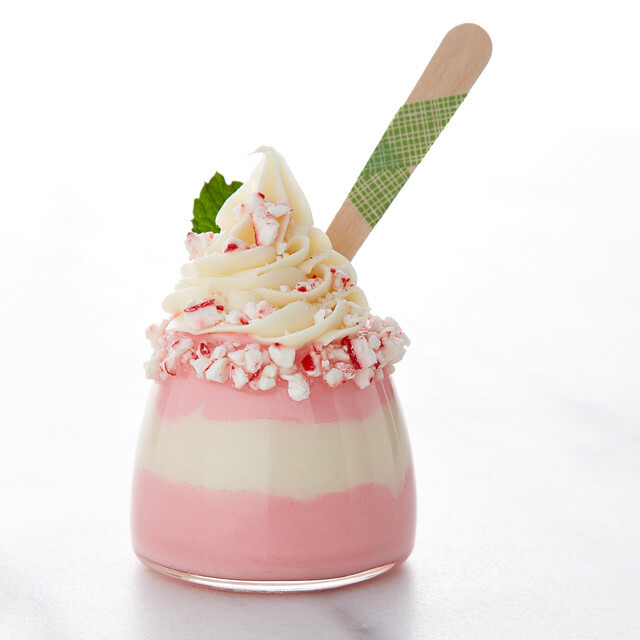 To serve, top with extra whipped cream and a sprinkle of crushed candy canes. 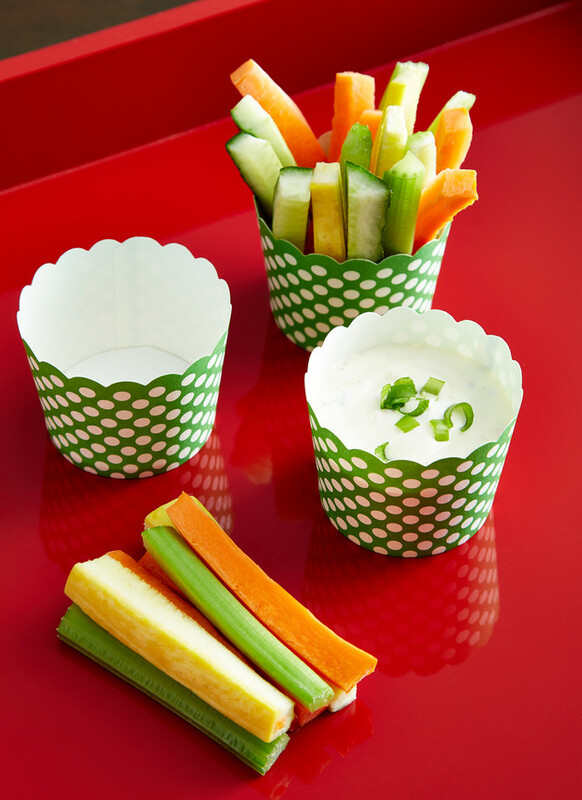 Personal crudités look fabulous and are super easy to display in our baking cups. Cut a mix of carrots, celery, zucchini and yellow squash into uniform bite size sticks. You can serve your dipping sauce or salad dressing in a separate cup. Or, I like to fill the bottom of each crudité cup with the salad dressing and then add the vegetables. That way, guests can have their own personal dipping moment. Less drippy messes on your pretty table. 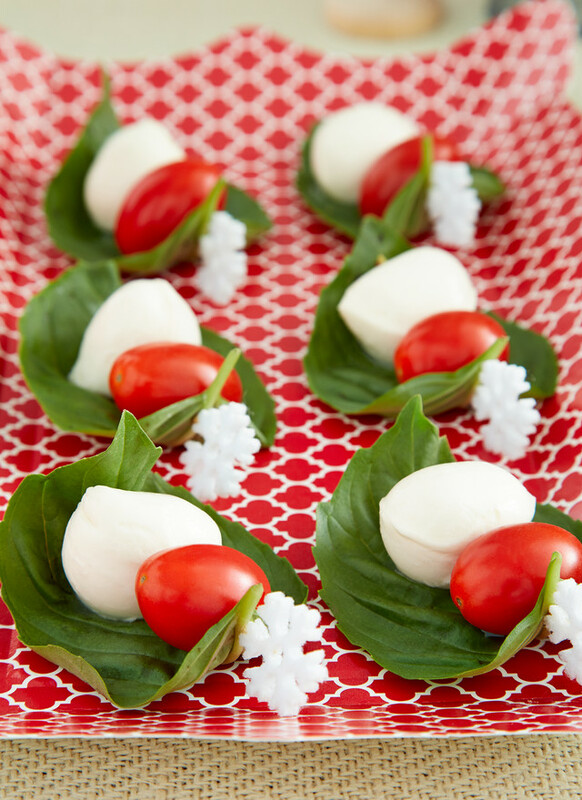 A Caprese Salad skewer is always a crowd pleaser. And look how pretty on our Casablanca paper trays! And oh so easy! 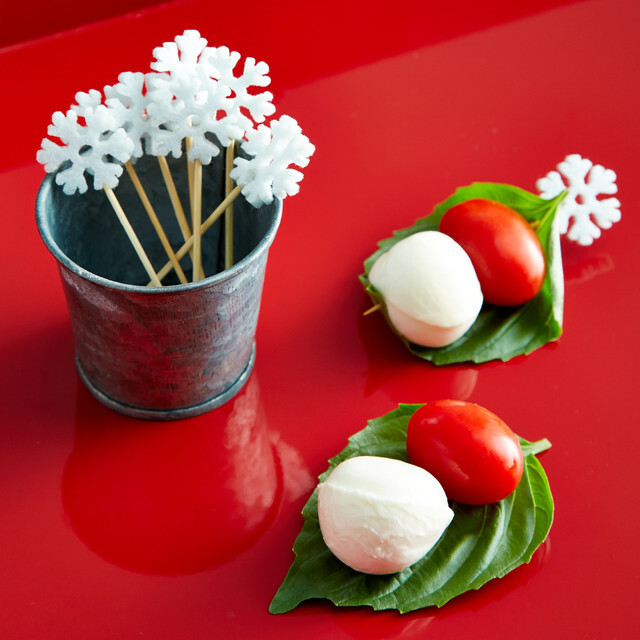 Using our snowflake toothpicks, we speared a half of a cherry tomato, a leaf of basil and a mozzarella ball. 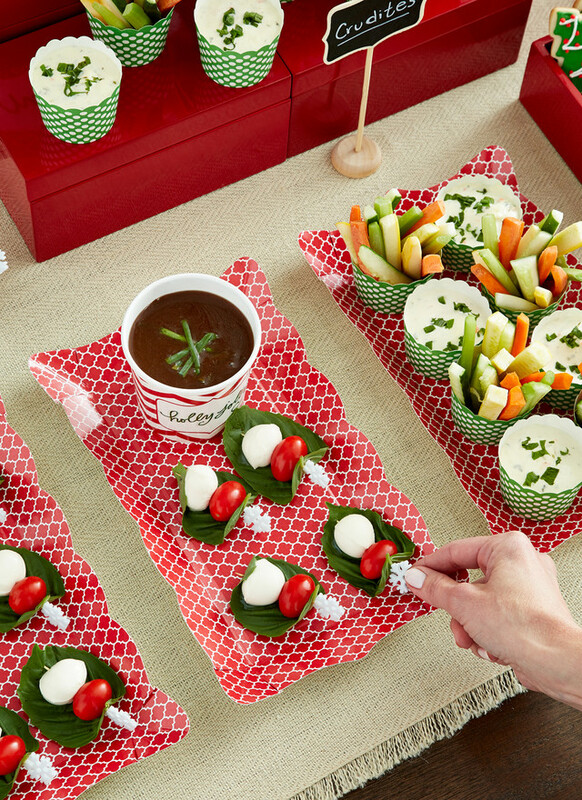 We sprinkled the skewers with salt and pepper and served with a balsamic dipping sauce. A cupcake station puts a smile on everyone's face - especially when they are shimmering with sprinkles and placed on our adorable Wooden Cupcake Stands decorated with Washi Tape. 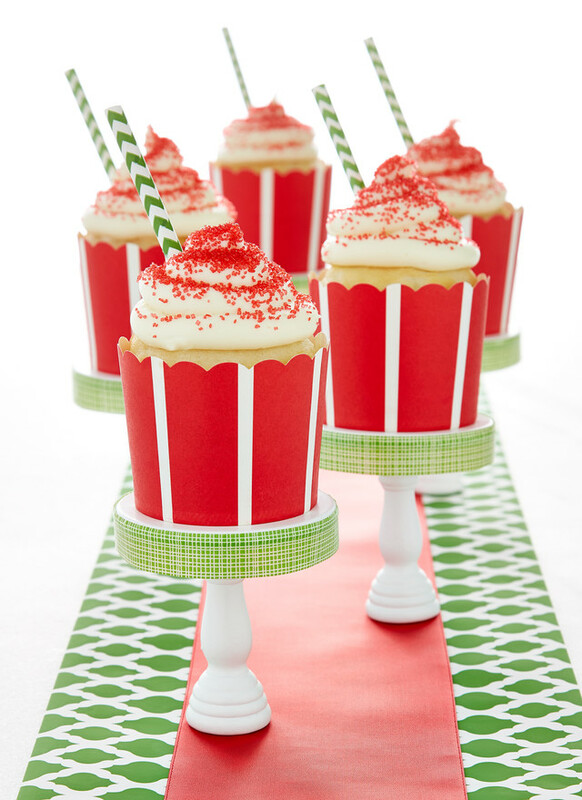 Our cupcakes were baked in colorful Wide Stripe Baking Cups and adorned with festive Paper Straws. 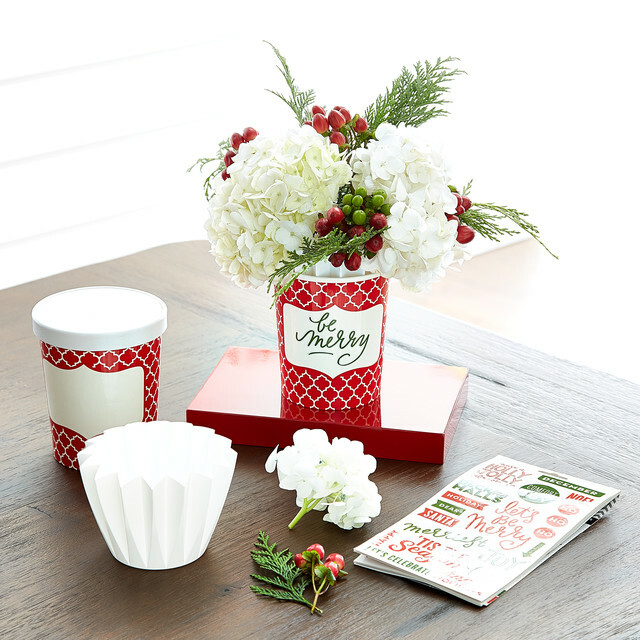 A table runner made of our Treeless Gift Wrap serves as a joyous place for these tasty treats. Preheat oven to 350ºF. Line a standard 12-cup muffin tin with paper or foil liners. Make cupcakes: In a bowl, whisk flour, baking powder, baking soda and salt. In a large mixing bowl, using an electric mixer on medium-high speed, cream butter, sugar and orange zest until light and fluffy, about 3 minutes. Add eggs one at a time, beating well. Scrape down sides of bowl. Beat in half of flour mixture, until just combined. Beat in buttermilk and orange juice, then beat in remaining flour mixture until just combined (do not overmix). Divide batter evenly among muffin cups. Bake until light golden brown and a toothpick inserted in center of a cupcake comes out clean, 20 to 25 minutes. Cool cupcakes in pan on a wire rack for 10 minutes, then remove from pan to rack to cool completely. Make frosting: Beat butter, vanilla and milk together with an electric mixer until well combined and fluffy, about 2 minutes. Gradually add confectioners' sugar and beat on medium speed until combined. Raise speed to high and beat until fluffy and easy to spread, about 5 minutes. Frost cupcakes and serve. Top with red sprinkles before serving. Once your table is set, label each item for your guests so they can easily make their way through the line. Our Chalkboard Place Card Holder Stands are whimsical and fun. 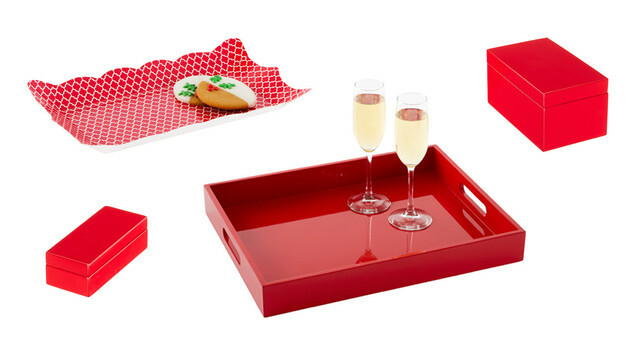 Check out all of our holiday entertaining solutions - believe me - you'll be inspired to throw a holly jolly party this year!